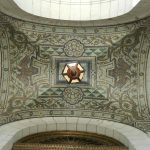 St. Louis Public Library’s Central Library boasts some of the finest examples of Beaux-Arts and Neo-Classical Architecture in the United States. Designed by renowned architect Cass Gilbert and completed in 1912, the structure which occupies a full city block is a historic treasure. Exquisite replicas of features from the Pantheon, Vatican and Michelangelo’s Laurentian Library bring the Italian Renaissance to life in the heart of downtown St. Louis. 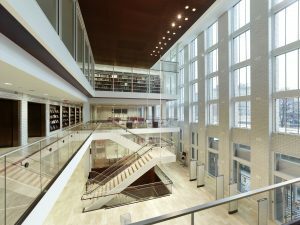 An extensive $70 million award-winning renovation of Central Library led by George Nikolajevich with Cannon Design was completed in 2012, and showcases a masterful blend of classical and modern architectural styles while preserving Central Library’s unparalleled beauty for generations to come. Don’t take our word for it, see the grandeur for yourself! 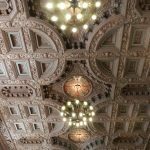 Join us for an architectural tour of this remarkable beauty, led by our highly knowledgeable Docent Volunteers. Regularly scheduled, Docent-led tours are available for individuals and groups under 10 people, on Mondays and Saturdays on a walk-in basis. Our Docents will greet patrons at the large wooden desk in the Great Hall. Tours begin promptly as scheduled. Mondays 11 a.m. & 12:30 p.m.
Saturdays 11 a.m, Noon and 1 p.m. Private tours are available by appointment. We recommend 30 days advance notice. For private tours and groups of 10 or more people, a reservation is required. 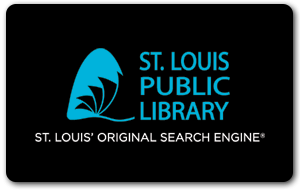 Please call 314-338-7792 or email events@slpl.org to schedule a tour. To arrange a school group visit please contact the Children’s Library at 314-539-0380 or the Teen Lounge at 314-539-0332. If you are planning on driving to Central Library, please see the parking information page. *Tours last approximately one hour, please let us know upon booking if members of your party are unable to stand for an hour or have challenges with steps so that we may better accommodate your group. 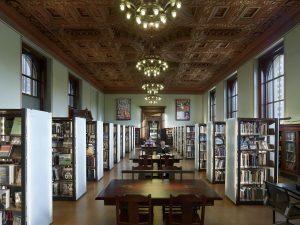 The Central Library is accessible and meets ADA standards.